The Belt Buckle Wardrobe Fashion Guidelines For Men & Women - How Many Belt Buckles Should One Own? Generally speaking, we should all own at least as many Belt Buckles & Belts, as pair of shoes that can easily be mixed and rotated through. In fact, I recommend that when you buy a new pair of Shoes, you should always buy a Belt Buckle and Belt to match that pair of shoes. Consider stepping a bit out of the comfort zone and commence by owning a few unique flamboyant Cool Belt Buckles and Belts that go with your dressing style. The average American owns a minimum of 5 Belt Buckles, 5 Belts and 5 pairs of Shoes, but it all depends on one's extravagant flamboyant fashion style on accessory needs! For someone growing up in Midland U.S.A the Cool Belt Buckles of choice back then, for many working men and women in the dry heat dust of the Texas oil fields, cowboy, cowgirl ranches and farms, it was the Western Belt Buckle...since then the times have changed! - Cool Belt Buckles store offers various unique Cool Belts Buckles with flaming colors and fashion styles, to easily mix and match to your taste. We carry a huge Belt Buckle collection wide enough to fill a large book in various dressy flamboyant ranges and protocols. Our cool Belt Buckles represents almost every Work Trade and Profession in the world. Also find a huge variety of Western Belt Buckles for Cowboys, Cowgirls, Motorcycle Belt Buckles for bikers, Sports Cars Vehicles Belt Buckles for car racing people, Music Instruments Belt Buckles for musicians, Skull Skeleton Belt Buckles for Halloween, Horses Equestrian Belt Buckles for horse lovers, Fireman Firefighters Belt Buckles for heroes and more. Our Cool Belt Buckles assortment is one of the vastest on the internet, it carries a unique selection of 2500 plus Cool Belt Buckles. 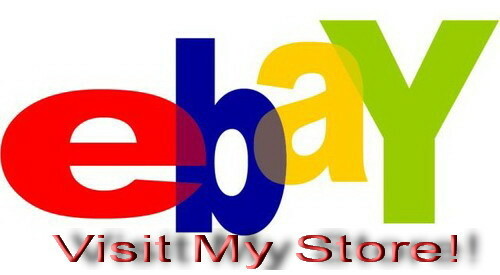 - Shipping to United States/Canada is $6.95 for the first item and $4.00 for every other item. - Shipping to Europe, Asia, Africa, Australia, Central and South America $9.95 for first item and $7.00 for every other item. Always purchase more than one item and you will save on shipping. - We ship within 24 hrs as of receiving payment - Cool Belt Buckles Store offers Fast Secure - Worldwide Shipping! Copyright 2006 Cool Belt Buckles Shop. All rights reserved.